Today, December 16th, is Ralph’s 89th birthday! Ralph is Nellie Belle’s dad and we want to celebrate his special day. 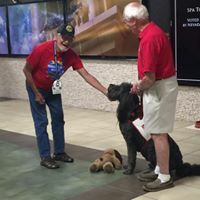 Here is one of our favorite photos of them working together at the Airport.